Fans of the prolific Edward Marston (The Bawdy Basket, etc.) 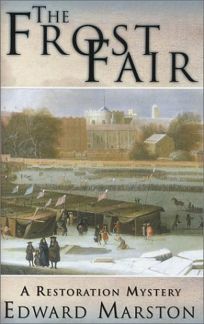 will welcome back architect Christopher Redmayne and constable Jonathan Bale in their fourth Restoration mystery, The Frost Fair. Since the chief suspect in the murder of an Italian fencing master found below the frozen Thames is Redmayne's own brother, the young architect has no choice but to try and prove the accused innocent.